I've been getting the same error with enchanting so I just replaced the enchanting section of craftStationScenes.lua with the enchanting section of the last version that worked for me. Problem solved. I've no idea what the error was but it was an easy personal fix until the wonderful mod maker corrects it themselves. It was the latest at the time only. And now I do not have the problem anymore. For some reason, when I have Perfect Pixel enabled, I cannot open any mail in game. Doesn't make much sense that it should be impacted, but I turn off Perfect Pixel and it does not work. Perhaps a conflict? Anyway, thought you should know and maybe suggest what I might be doing wrong. Does this happen with any version or with the latest? Last edited by Glen348 : 03/20/19 at 01:00 AM. Is there anyway this could work with UI scaling? That would be SO useful! Love the addon anyway! Some scaling values ​​can give a good picture, for example, x2. In the rest I can do nothing, changing the scale cuts off the pixels and, depending on the coordinates, is visible, then hidden. I understand. I appreciate the work you've done on this! Heya! First and foremost, I love this addon. I'm so used to it, I can't imagine playing this game without it. So... Pixel Perfect and Bandits User Interface usually play well together, but the latest Bandits update seems to not be playing well with Pixel Perfect. Specifically with the Dungeon Finder tab (P). I was playing earlier today before Bandits was updated and I was not seeing this issue. When you first access the Dungeon Finder, the "Join Queue" button is beneath the "Leave Queue" button on the left side. 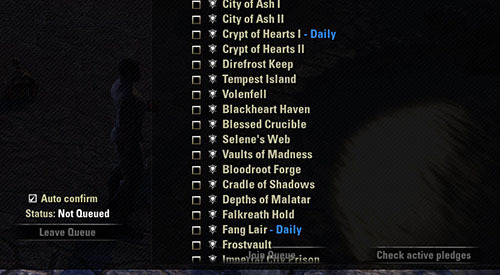 When I switch to choose a specific Dungeon, the "Join Queue" button moves to the right beneath the Dungeon names. With Pixel Perfect activated, the Dungeons list hides the "Join Now" button. With Perfect Pixel deactivated the button is now accessible. I've already contacted the author of Bandit UI. I figured I'd let you know as well. Last edited by zartoons1271 : 03/15/19 at 09:43 PM. Do you need me to test something? No thanks I made changes for compatibility with GridList, and did not take into account one detail. I am almost done. With the latest version I have the ugly default font in my inventory, not the neat one I was seeing before. May I ask if this is intended? I'm doing this now, "AutoCategory" is breaking work. Uhm... I have Auto Category but I can't see anything wrong. Hello. It looks like the problem is not in PP. I just installed the latest version from Minion and everything seems to be in order. Try only PP or reinstall it. Reinstalling didn't solve the issue, but deleting the folder and then reinstalling did!